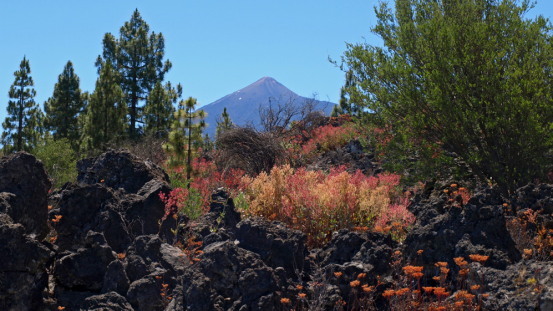 On Tenerife in June the tajinaste flower tends to grab all the floral headlines, but there are other blooming lovely flowers which add a touch of magic to the landscape. 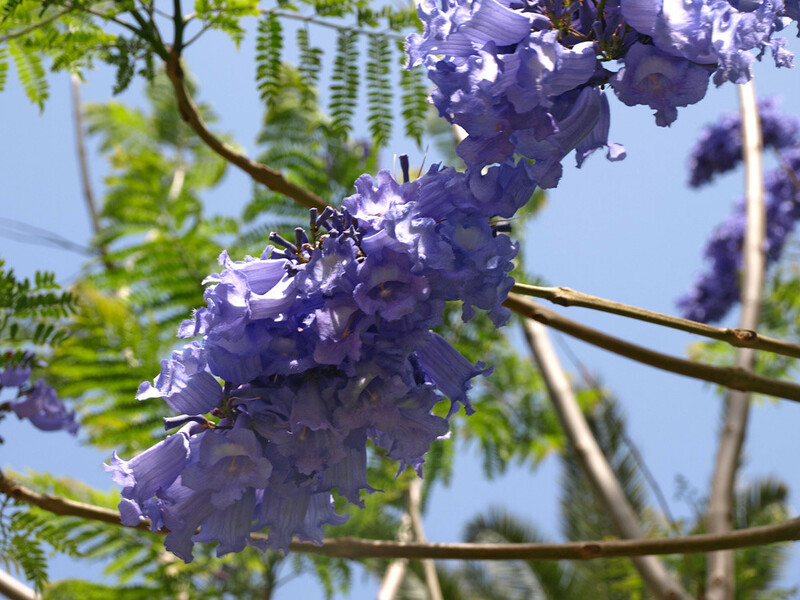 One of the most eyecatching is the jacaranda mimosifolia. 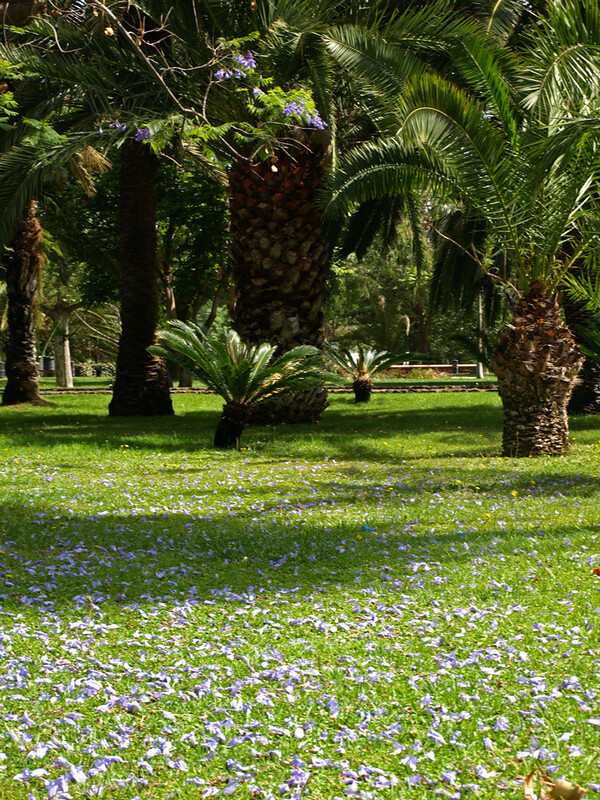 Its delicate lavender flowers perk up town streets, parks and gardens all over the north of Tenerife during June, before falling to the ground to create delightful floral carpets – it’s perfect timing given that this is the time of Corpus Christi and the flower carpets of La Orotava. One of the nicest displays is found beside the church in Icod de los Vinos, but my favourite is in Santa Cruz in Parque García Sanabria where fallen jacaranda petals line the floor of a bamboo covered tunnel. Not only is it a feast for your eyes, being there might increase your chances of winning the lottery as it’s believed that it‘s good luck if a jacaranda flower falls on your head. Although Tenerife’s jacaranda in bloom is a sight to behold, the best display is in Pretoria in South Africa which has so many specimens that its unofficial name is Jacaranda City.